I CLIMBED THE DEODAR WHENEVER I COULD THAT YEAR, but in my final summer I spent more evenings on the lawn beneath it, learning to cast a fly under Robert’s exacting tutelage. That term, he had arrived with a goshawk – a proud and savage creature – and his fly-fishing gear. He had a six-foot, split-cane, dry-fly rod, an instrument of extraordinary delicacy and beauty made by Hardy’s of Pall Mall. It was a pale straw colour, slender as a rapier, with dark claret whippings and gunmetal ferrules so perfectly engineered that they separated with a soft pop. The reel was drilled aluminium (a Hardy Princess, I think), and the line, almost the most exquisite element of all, was olive silk, plaited and double-tapered. You don’t cast a fly as you would a bait or a spinner. A fly is practically weightless, just a few turns of silk and feather on the tiniest of hooks. So you have to cast the line itself, stripping it off the reel and switching it backwards and forwards until you can place your fly, which is connected to the line by a length of fine nylon (the ‘leader’), exactly where you want to. Essentially, it’s a trick of co-ordination. Easy when you know how, mindbendingly frustrating when you don’t. Attaching a fly to the leader, Robert would place a handkerchief on the lawn a few yards away and tell me to lay the fly down in the centre of the handkerchief. He’d demonstrate a couple of times. A quiet back-flick, so that the line unfurled behind him, and then a tap forward, as if he were knocking in a nail. With this, the line would roll forward, describing an elegant parabola before straightening in the air and falling weightlessly to the grass, with the fly at the precise centre of the handkerchief. Taking possession of the rod with fearful reverence, I’d have a go myself. The results were immediately farcical. I’d crack the line like a whip, snapping off the fly in the air, or throw out ugly tangles that would have had any trout within a hundred yards racing for cover. Sometimes the hook would catch in the ground behind me, sometimes in my corduroy shorts – anywhere but in the vicinity of the handkerchief. At which point, with wordless patience, Robert would take the rod and demonstrate again. And then I’d have another go, and there would be another hideous bird’s nest. Sometimes the line jammed in the reel or slipped backwards through the rings; sometimes knots appeared, as if by magic, in the leader. Until I picked up that little six-foot Hardy, I thought I knew a thing or two about handling a rod and line. But these sessions stripped me of any such illusion. The indignity of it all was compounded by my so-called friends who would spectate from a safe distance, sniggering at each successive cockup. The geography master, a former officer in the Black Watch, would pass by at intervals too, watch for a while and then withdraw, slowly shaking his head. The public nature of the struggle was, I now realize, part of the lesson. Robert wanted to see whether I’d persevere. I did, and after a couple of evenings I became a fixture, no longer amusing or worth watching. It was only then things started to fall into place. I slowed down, began to feel the delicate physics of the operation. How the tapering silk line would draw back the rod-tip with its own momentum. How the split-cane absorbed the energy, requiring only that quiet hammer-tap, that nod forward, to translate it into a beautiful cursive unfurling. Soon I was pulling line off the reel, bringing it under control in the air, and laying it down in a more or less neat line in front of me. Eventually I could hook the handkerchief every time. The day I did it ten times in a row, Robert lent me his copy of J. W. Dunne’s Sunshine and the Dry Fly, published in 1924. Like many titles in Robert’s collection, it was at once antique and subversive. 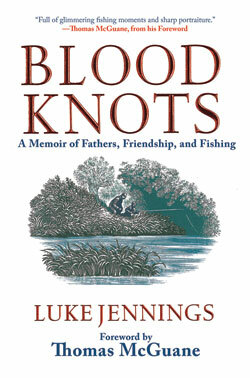 I read it from cover to cover, envying Dunne his seemingly limitless access to the finest trout rivers. Such waters, occasionally glimpsed as a distant flash of emerald on car journeys through Hampshire and Wiltshire, were notoriously unattainable: the province of the very rich. My mother had a friend from art school who was married to the owner of a chain of retail stores. In middle age this individual had retired to the Test Valley ‘to fish’, buying a cottage and a stretch of river near Stockbridge, and leaving his wife and son to rough it in Belgravia. He enjoyed near-mythic status in our family, not least because none of us had ever met him. He was always ‘on the water’ and clearly didn’t wish to be joined there. My first look at such a river had occurred a year earlier when I was eleven and my father was driving me to a cricket match in Hampshire, organized by the parents of a school friend. It was a hot July day, and we must have been somewhere between Alresford and Winchester when the road took a turn downwards. At the bottom of a short incline it disappeared beneath running water. The ford, perhaps twenty feet across, was gravelled and less than a foot deep; a sign suspended from a chain slung between posts read ‘Max Speed 10 mph’. Feeling compelled, I asked my father to stop the car before we crossed, and got out. I remember having to be careful because I was already wearing cricket whites. Above the ford, the morning sun was on the water, beaten gold, too bright to look at for long, but below it the river broadened and deepened into a great translucent pool, its surface slowly roiling over long, swaying tresses of green weed. The water looked heavy, deep enough to drown in but so clear that you could see every shining fleck of gravel. At the tail of the pool, as it swept towards a bend concealed by willows, mounds of ranunculus broke the surface, trailing strands of white flowers. Instinctively, I began to scan the water and as I did so the weeds parted to reveal a trout of perhaps a pound and a half, dark-spotted and deep-shouldered, butting blunt-nosed against the current. Every few seconds, as it swung to one side or the other, I could see the pale flash as its mouth opened and closed. It was feeding on nymphs, tiny larvae struggling to the surface to hatch as flies. I could see every detail of the fish, every minute adjustment of fin and tail, and some trick of refraction seemed to shorten the distance between us. A couple of paces, it seemed, and I could reach out and lift it from the water. Until that moment I had thought of angling as a process of making the invisible visible, of drawing some dazzling, metalled creature from darkness into light, like an impulse from the sub-conscious. But here, all was light. Here, to my eleven-year-old self, was a new paradox: an object of maximum desire, just feet away, yet utterly unreachable. Between us lay a barrier like the armoured glass of a jeweller’s window. That invitation to look but to keep your distance is a common one in the countryside. Vistas are suddenly glimpsed between trees, tempting the imagination for a moment before vanishing from view behind boundary walls. As I stood there by the ford, watching that inviolable trout, my father waited in the Bedford van. At our feet the river swept through the wooded valley, wrapped in its other-dimensional glamour. The sky was cloudless and no other cars passed. Of the cricket match I remember almost nothing, but I know that the river was the Itchen, the most hallowed of the southern chalk streams. Unlike most rivers, which are directly fed by tributaries and the run-off from hills, these have their origins underground. When rain falls on the Chilterns or on the Marlborough and Lambourn Downs, it seeps with infinite slowness through the porous chalk before emerging from subterranean aquifers as a series of springs. These become the chalk streams – the Test, the Dever, the Kennet, the Bourne, the Hampshire Avon – which wind their way through the water meadows of the southern counties. The filtration process gives them an almost preternatural clarity. The water has a brimming, viscous quality, rolling over the emerald weed beds like vodka fresh from the icebox. Insect-life is abundant, with flies so plentiful that the fish can afford to take their time, eyeing each offering warily before sipping it down. Often they will refuse all but a certain species: a black gnat, perhaps, or a tiny Caenis midge. The chalk-stream angler, in consequence, must be subtle. Once he has found a feeding trout, his approach must be silent and invisible, and his upstream cast (fish face the current, so must be approached from behind) of pinpoint accuracy. His fly must fall weightlessly to the water, as if it had alighted there naturally, before floating down, inch by inch, towards the waiting fish. If the angler is lucky, he will then see the trout rise in the water and quietly engulf his fly. More often, however, even if the cast is perfect and the fly a perfect match for the hatching insect, the chalk-stream trout will disdain it, some instinct having warned it that all is not right. The difficulty of the task is extreme, but that, of course, is the point. I knew about this – the rituals, the orthodoxies, the sporting codes – from my reading. Richard Walker was a great fly fisherman, as was Bernard Venables, who described the chalk streams as ‘rivers of idealised imagining…so improbably pure, so crystalline, so opulently stocked with great trout’. I knew that those ‘great trout’ had been guarded and pursued for generations, and that the names of the Hampshire villages through which the chalk streams flowed – Longparish, Whitchurch, Kings Worthy – rang out through angling history. Yet even though we lived less than two hours’ drive from those water meadows, they seemed impossibly remote. Dream territory, like Samarkand or the Coromandel Coast. The fishing was locked up, private, far beyond the reach of the average angler. Or so I had always assumed. However, coming face to face with the Itchen, seeing the water sliding past and smelling that unmistakable river-in-summer smell, the whole thing became real and immediate. There is a sense in which a river has no past or future: it is always now. And I knew that if I returned one day, rod in hand, it would be now again.